A good cup of tea seems to be about the only thing getting me through these chilly and dark January days. There really is nothing quite like a cup of tea, made just the way you like it, (because lets face it, us British do all have a specific preference as to how we like our tea) in your favourite mug and snuggling up on the sofa watching Big Brother the news and counting down the days until spring starts to show it’s lovely face. Whether you’re more of a builder’s cuppa lover, milky and weak, herbal and healthy or if coffee is your bestest bud, there’s no making our soul soothing hot drinks without a good old kettle. As luck would have it, the lovely folks from House of Fraser are giving away one of the very snazzy Breville Traditional Kettles from their fabulous range of kettles to one of Miss Enchanting’s readers. This sleek little number with it’s retro design has a 3kw fast-boil element for a speedy cuppa and a 360 degree base for both left and right hand use. Fabulous…and entering this giveaway couldn’t be easier. Simply follow the Rafflecopter instructions below….Good Luck! 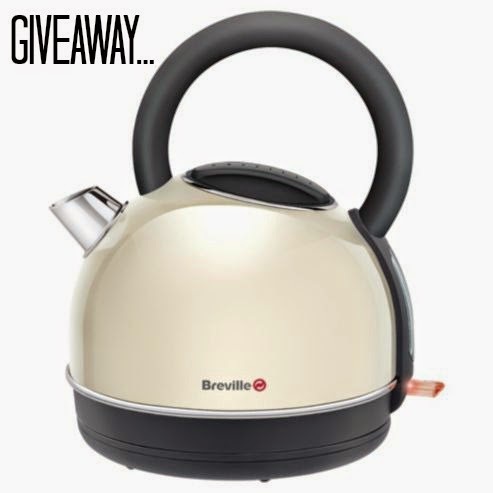 The prize is 1 x Traditional Breville Kettle in Cream courtesy of House of Fraser. Entries: Each reader can enter up to four times using the Rafflecopter, by answering the question provided in the comment section, liking Miss Enchanting’s Facebook page, following Miss Enchanting on Twitter or follow House of Fraser on Twitter. For those of you already liking and following you will automatically get a free entry. Competition closes on 4th February 2015 12.00am. Previous Post Barkbeats Review & Discount Code…!